Winter livestock have a few different needs when it comes to their care and feeding. For the most part, preparation falls into four different categories: food, heat, water, and lighting supply. 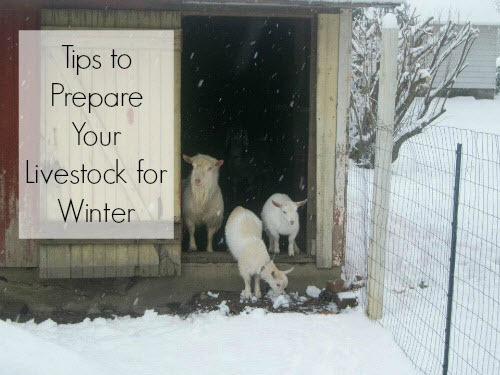 For each of these categories, the author of the guide offers helpful tips that highlight the essential livestock needs that have to be considered during the winter months. For example, when it comes to food, it’s critical to plan for enough hay and straw for bedding. Additionally, you’ll need more hay to keep your grazing livestock fed during the leaner months. As for your grain-eating livestock, it is best to prepare for the winter months by keeping additional grain in vermin-proof storage containers so that your stock will not go hungry if they run out of grain. The rest of the tutorial offers equally useful advice on preparing for the winter season.